well I designed this breech-load for an upcomming cannon of mine. It is constructed of sch40, 80 and sdr 21 components. It was designed to, and is air tight to atleast 50 psi. 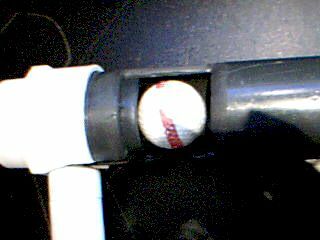 There is also an o-ring system that holds the ball in the barel so I can aim down. 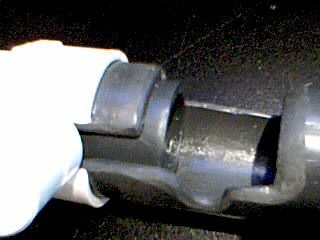 The second feature of this oring was to allow the bolt to pinch the ball between it self and o-ring to stop any annoying rattles. I am machining a better handle but this one is wroking for now. The new handle will be a knurled 303 stainless handle, I had some stock and want this to be a nice cannon. The other feature of this cannon will be a clip. it will mount top-side and feed backwards. 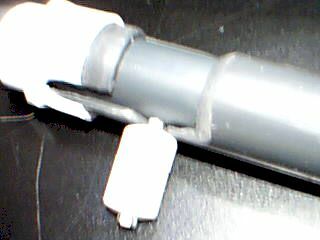 with a second clip being able to be storred underneath the barrel. There ism also some more detailing work to be done, paint job cleanin up breech area etc etc etc, but i though you guys might appreciate it as is. It certainly looks nice from what I can see, but would it be possible to get larger or higher resolution pictures? Also, maybe you could give a faraway shot, to show the entire mechanism, and some close ups of the various parts? It looks like you put a lot of work into this. I can't wait to see it finished! thanks rmich, I will be sposting the completed cannon in the next few months, heres a teaser. 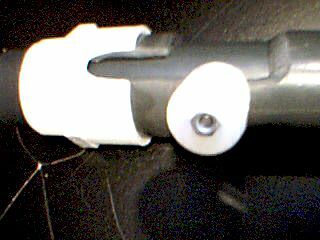 4 inch barrel sealing piston anf full 2.5 inch porting, over under, dual 1 inch pilot. 4" by 6 foot chamber. changeable barrels. just wait and druel.